Areas of work - Kleine Hilfsaktion e.V. The Kleine Hilfsaktion e. V. is running its own school with 269 pupils in Kandieng, near the city of Pursat, since 2011. By now, the first pupils are studying at colleges and universities in Pursat and Phnom Penh and are supported by scholarships from the association. Together with the Organisation Bareebo, which supports the operational measures of the Kleine Hilfsaktion, the two villages Chy Hong I and II were founded. More than 70 formerly homeless families found a new home and a livelihood there. The healthcare project “Eyelight” has been running since 2013. Within the scope of this project, Kleine Hilfsaktion e. V. has already financed more than 1,000 eye operations. 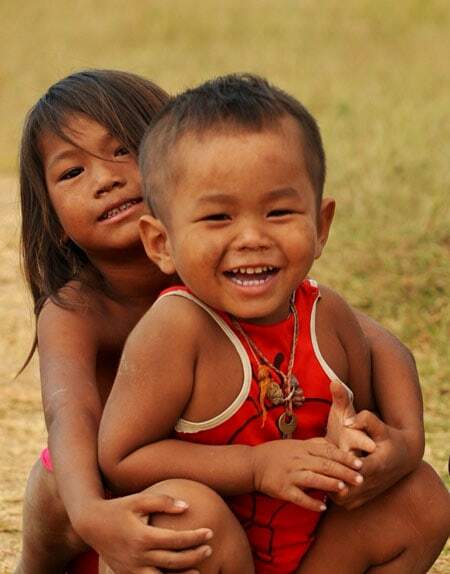 In Cambodia it is difficult to say where the need is greatest. Our friends at Bareebo know. They know the country and its people well and inform us about where immediate help is needed. This way, we can help accident victims quickly and respond to personal emergencies unbureaucratically. It is important to us, that it is not a short-term aid measure, but that we help people sustainably and enable them to lead a self-determined and independent life.